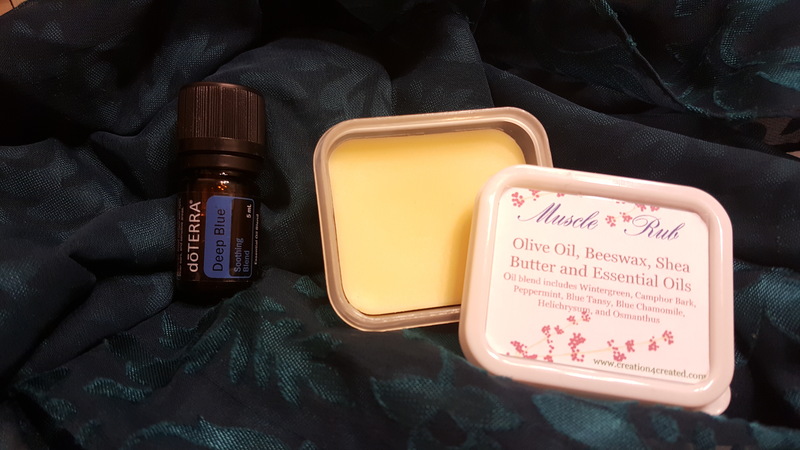 We make our muscle rub with the same base ingredients as our lotion bars and lip balm. However, the essential oil we added is a mega-pack of muscle love. We get it from DoTerra Essential Oil company and it is called Deep Blue. “The Wintergreen, Camphor, Peppermint, Blue Tansy, German Chamomile, Helichrysum, and Osmanthus found in Deep Blue products work together as the perfect soothing blend. The comforting effects can be felt immediately. Apply before and after exercise or after a long day of hard work.” Is what DoTerra has to say about this oil and we agree. DoTerra’s Deep Blue is intense and must be diluted for application. Therefore, we added it to our lotion bar as a win win skin and muscle combo! If you’d like to try it or have tried it and would like another, please email, text, or call!